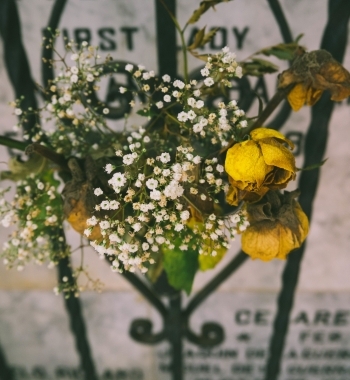 We know that for many people it’s a much avoided subject, but… We’d like to talk about death. We’re not trying to be morbid or dramatic, we’d just like to open up the conversation. Along with initiatives such as The Groundswell Project and Dying to Know Day, we believe that we truly are at a point where talking about this subject has become a matter of high importance. As no doubt you’re all aware, our society is now fast becoming an aging population, therefore it’s about time that talking about death… became a part of life! And when well known publications such as The Guardian, Huffington Post, Darling Magazine and many others are talking about our approach to dying then there is hope that there’s an audience out there willing to listen. When we say that we’d like to talk about death we are not so much concerned with fixating on death itself – and the many questions that that may open up – but more so on the practicalities: the details through which the experience of dying can be eased and soothed by having an understanding of the needs and wants of those facing imminent death, and the ways in which those around them can help. There is even now a name for the understanding of all this: Death Literacy. 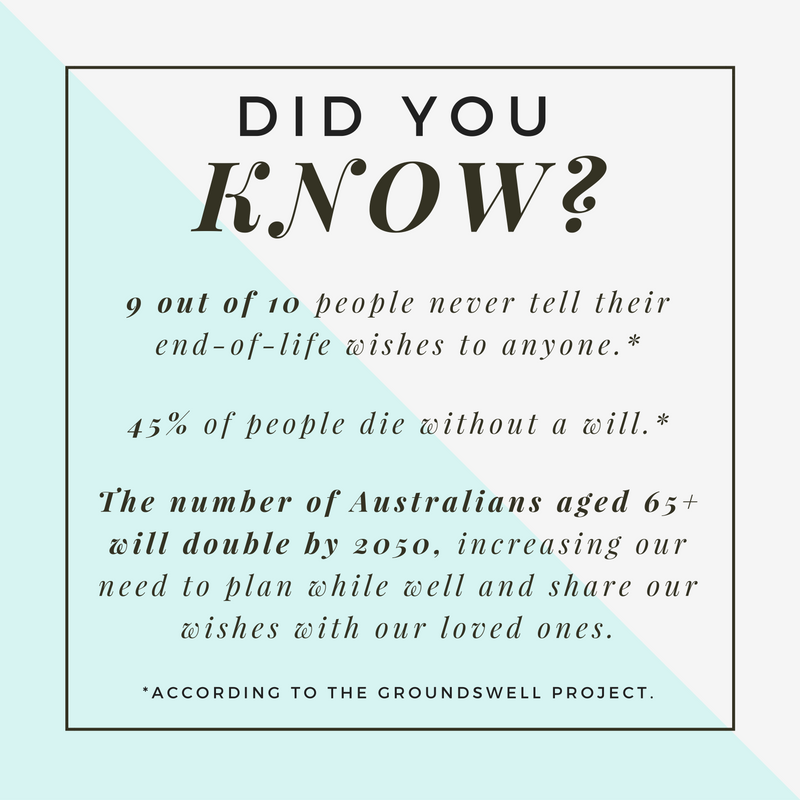 According to the Dying to Know Day website, Death Literacy (a phrase coined by the Western Sydney University) is the practical know-how needed to plan well for end of life. It’s about having the knowledge to helps us make informed decisions on end of life and death care. Why do I need to develop my Death Literacy? 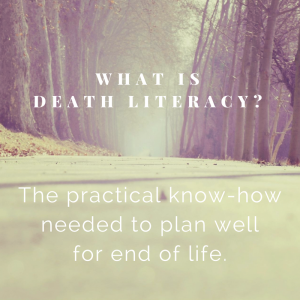 Improving your Death Literacy is an important way in which to be able to be able to make informed decisions regarding end of life care. 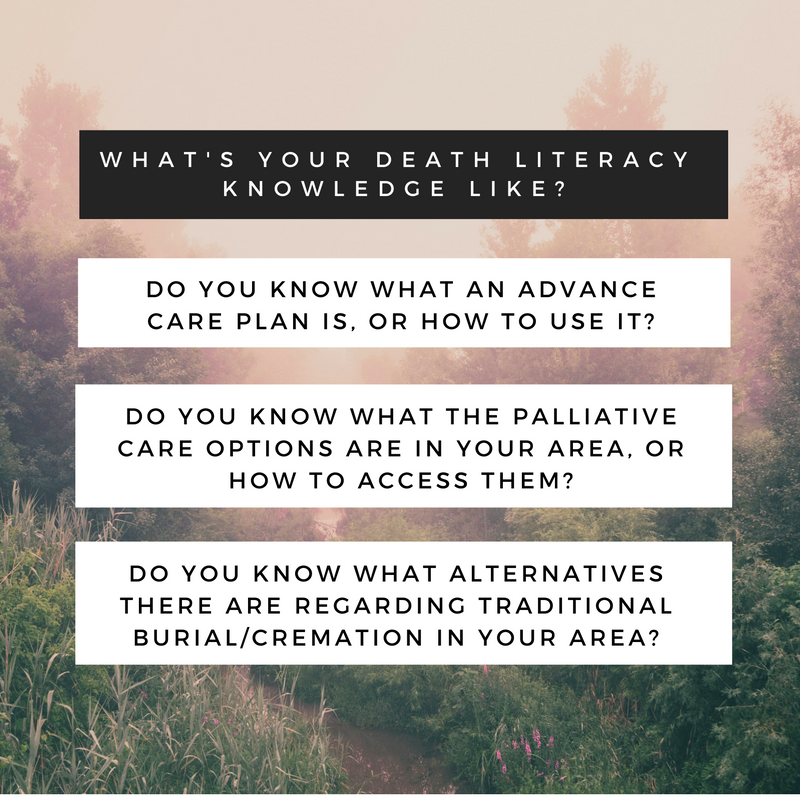 Whether improving your Death Literacy is for yourself or a loved one, it is extremely empowering to have the ability to make decisions based on knowledge during times of emotional and/or physical distress, rather than struggling through and being unsure of how to act. By having the ability to answer the questions above we can develop an understanding of the options available to anyone who may find themselves involved in end of life care, whether it be for ourselves, a partner, family member or dear friend. How can Death Literacy enable a “good death”? 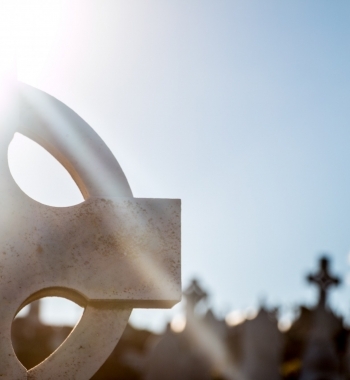 It might sound strange, but yes, there is such thing as a “good death”. Both for the person dying, and the loved ones around them, Death Literacy enables a smoother journey for all involved. Acting with purpose and knowledge during end of life care gives many people a sense of achievement, a reassuring feeling that they have done as well as they could have for the person that they loved when at the end of their life. It can also reduce the regret that many people feel when they later find out what they could have done had they known the options open to them regarding palliative and after death care. We look forward to going on this journey of learning with you all. 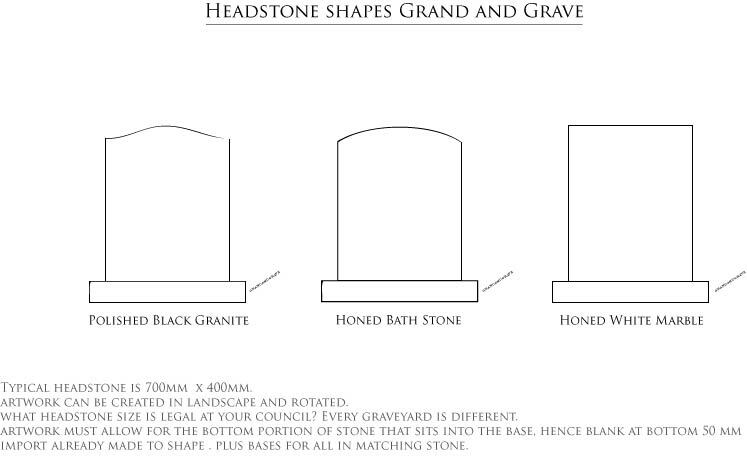 For Grand & Grave this is just the beginning of the conversation. The above is just a small peek into the world of Death Literacy and all that this term entails. 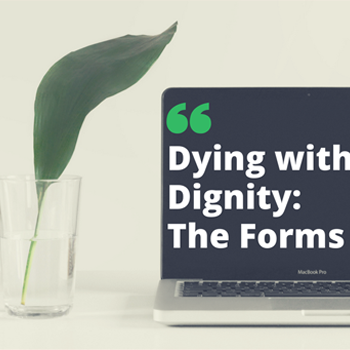 As we continue to write and talk about this subject we invite you to let us know your thoughts, respond to our blog posts, follow us on twitter and – most importantly – to share with others the knowledge that you gather and help us to grow the conversation on end of life care.